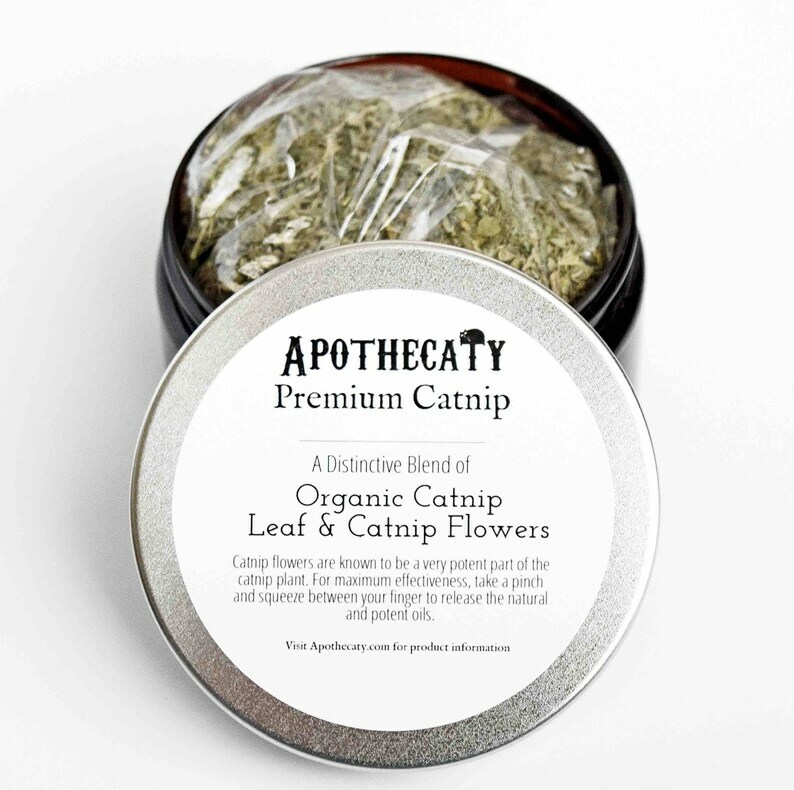 Apothecaty Catnip Leaf & Catnip Flowers blends together premium organic catnip grown in the USA. The flowers of the catnip plant (nepata cataria) are known to be a more potent part of the plant. Look closely to see bits of the flower buds in this premium blend - they look like tiny bells! For best results, pinch some catnip between your fingers and crush the leaves and flower buds to help release the potent oils. Sprinkle the catnip where your cat likes to play! 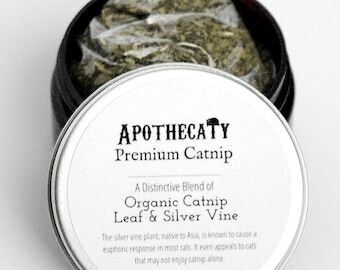 If you cat doesn't react to catnip, try one of our other blends!